Vote Yes for Our Huron Chiefs! As an eighth grade student at Renton Junior High who is excited to go to the high school in the fall, it would be beneficial to all students if the bond was passed. The bond proposal will provide secure-entry doors that will make our buildings safer, additional classrooms and labs with new technology that can help students learn the curriculum using 21st century methods, new drinking fountains that will allow us to refill throughout the day, and more lockers and parking spaces to accommodate our growing student body. 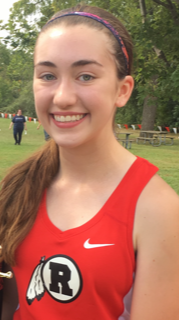 I’m also a member of the cross country and track teams and a new track would help our team remain competitive in the Huron League and improve our sports’ facilities. On May 7, I hope that you’ll be voting yes to support our students and community. This entry was posted in Front Page News, Opinion -- Letters to the Editor, Schools on April 10, 2019 by Scott Bolthouse.